Thermal heating services providing specialist plumbing services in Lostock. Look no further than Thermal heating service when choosing a plumber in Lostock. We cover all sections of plumbing, and can carry out all types of domestic and commercial work. Here is a small list of some of the services available to Lostock. If you’re looking for more detailed information about our plumbing services, please don’t hesitate to contact us today. 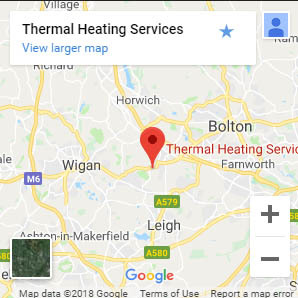 Boiler repairs in lostock by thermal heating services, we are professionals when it comes to repairing broken boilers. We know the commons problems that you might be experiencing and always on call to help you resolve your home heating issues. If you’re having any of the following you could need a professional. Are you looking to install a new energy saving system to your home or place of work? Then Thermal heating services could be the right choice for you. We are experts in the installation of Central heating systems in Lostock. Thermal heating services offer a fantastic and affordable heating solution for your home, with underfloor heating you can start to save money on your utility bills. We offer underfloor heating in Lostock, and carry out many of our services in this area. By installing underfloor heating to your home or business you’re increasing the overall value of your home and increasing its energy rating.